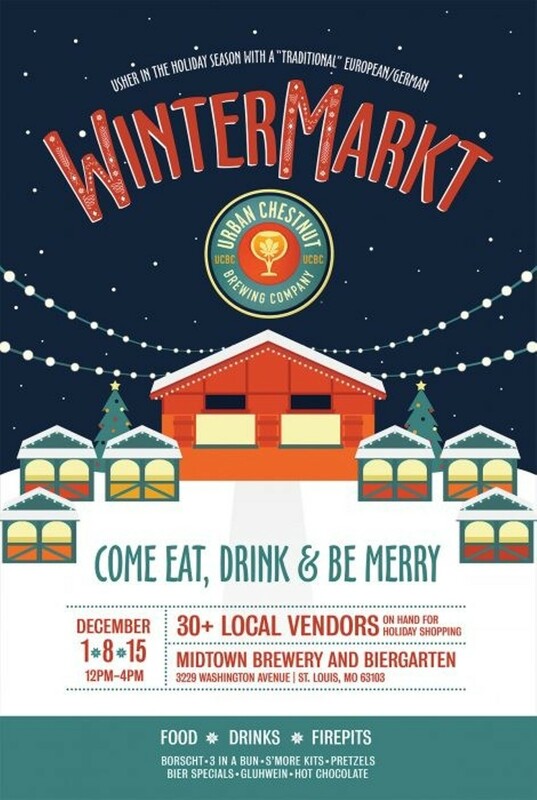 In its continuing efforts to become your favorite local craft brewery, Urban Chestnut presents its WinterMarkt. The German-style Christmas market features more than 30 vendors selling everything from flowers to beads to photography at the midtown location of Urban Chestnut Brewery and Biergarten (3229 Washington Avenue; www.urbanchestnut.com). There will be beer specials, hot chocolate and German Glühwein (a seasonal favorite), as well as food and fire pits. The next WinterMarkt takes place from noon to 4 p.m. Saturday, December 8, and admission is free. There will be one more markt on Saturday, December 15, with a whole new roster of vendors.